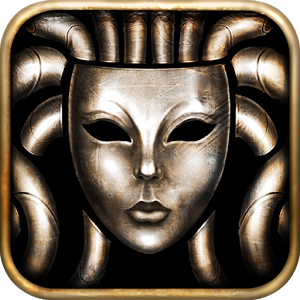 Build your mercenary army and raise your banner to epic heights in a broken, ravaged world. 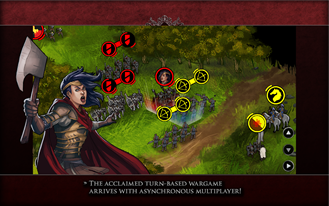 Wage head-to-head battles against other players in the finest turn-based strategy wargame, RAVENMARK: Mercenaries! If you encounter any of the following problems, we are working on rolling out a fix ASAP! – For players who encounter a blank screen upon starting up the game, we recommend force stopping the app, and then restarting it. – For players who encounter a “unable to download resources” error message upon seeing the initial Witching Hour logo, we recommend verifying if you have set up your device(s) to be able to download data from the Google Play Store. RAVENMARK: Mercenaries is FREE TO WIN! The game was designed such that you do not need to spend real money to defeat other players, only your wits. However, certain options to customise your army, which are not required for enjoyment of the game, may be purchased with real money. Additionally, the game is ad-supported. If you prefer a seamless play experience without ads, please consider supporting us by purchasing the Collector’s Edition in-app purchase to remove ads. 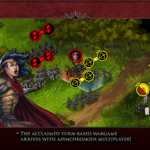 Mercenaries delivers an evolution of the turn-based strategy mechanics that won critics over in the original 2011 wargame, RAVENMARK: Scourge of Estellion. Mull over strategic troop placement in the Command Phase, before committing your orders into the “we-go” Battle Phase where friend and foe move and attack in the same phase. Conquer your foes with grit and tactical superiority! Acquire the services of diverse Brigades of mercenaries, each with their own history and combat styles. Mix and match these Brigades together to form your own style of combat! As you gain experience in battle, experiment with Commander Traits to embellish your style of command, and hire Advisors to reap greater bounties from your battles. 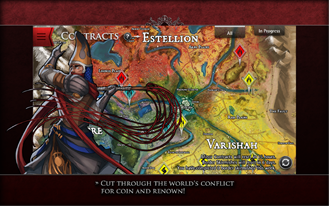 In the events of Mercenaries, set six years after the events of the original RAVENMARK, the world of Eclisse has been scarred irrevocably by the vendetta of Estellion’s vengeful new ruler, the Scarlet Empress. 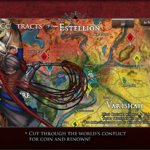 Players may delve into the world’s rich lore and discover the evolved power struggle between the three warring nations: once-glorious Estellion, the fledgling Varishah, and silent but stern Esotre. RAVENMARK: Mercenaries requires a network connection to play. Also, please note that the game is a constant work in progress. Certain aspects of the game involving multiplayer combat may be rebalanced from time to time to improve the player experience.